The BlackBerry became known as the Crackberry, because of its owners’ inability to put it down. It was launched in 1999, and with this product, RIM (Research In Motion) started the trend of having a phone permanently attached to your hand, with your neck and back arched over an enchanted screen. Enter, the smartphone age! I graduated the year after the launch. My friend would lock himself into the screen and be lost to the living world. At the time this bothered me, but it was just him. Soon BlackBerries found themselves in more and more hands. The new “smartphones” were touted by personalities from entertainers like Oprah Winfrey to President Barak Obama. The hope is that a more versatile phone will be able to compete in the fast advancing smartphone market. Some years later, another thing happened. The iPhone came along and found itself in the hands and hearts of the masses. Later still, came the Android platform available on an array of phones. In short, the BlackBerry has lost a large part of its marketshare, with it’s US sales falling from 44% in 2009 to only 10% of the current smartphone market. RIM’s stock price has slid from its height in 2008 of $140 per share to around $10 usd now. Learning that they were made by a Canadian company made me like them more. I’ll admit this has some influence on me choosing to write on this, making it a bit of a sentiment piece. Heck! (Ya, I said heck!) my close friend’s brother even works at RIM. 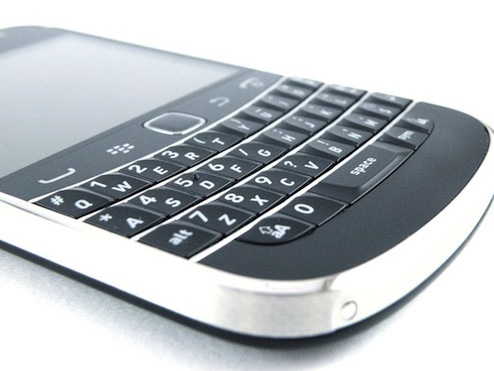 RIM is Canada’s most valuable technology company. The company’s leaders Mike Lazaridis and Jim Balsilie are nearly national heroes. RIM is based in the Ontario, Canada city of Waterloo. Waterloo is a city of about 100,000. The company currently employs 16,500 workers (after cutting 2,000 employees last July). There are some worries that if Research In Motion continues its downward turn, Waterloo will suffer greatly. Others believe that the positive change brought on by RIM’s presence in that city, will have served it’s purpose even if RIM goes, as many companies have set up in the area making it home to over 800 technology companies. The decline in BlackBerry sales came rather abruptly, although the writing was on the wall. A large part of the reason may be that the BlackBerry is largely e-mail focused, while other smartphones are basically pocket computers, offering a much larger range of applications.